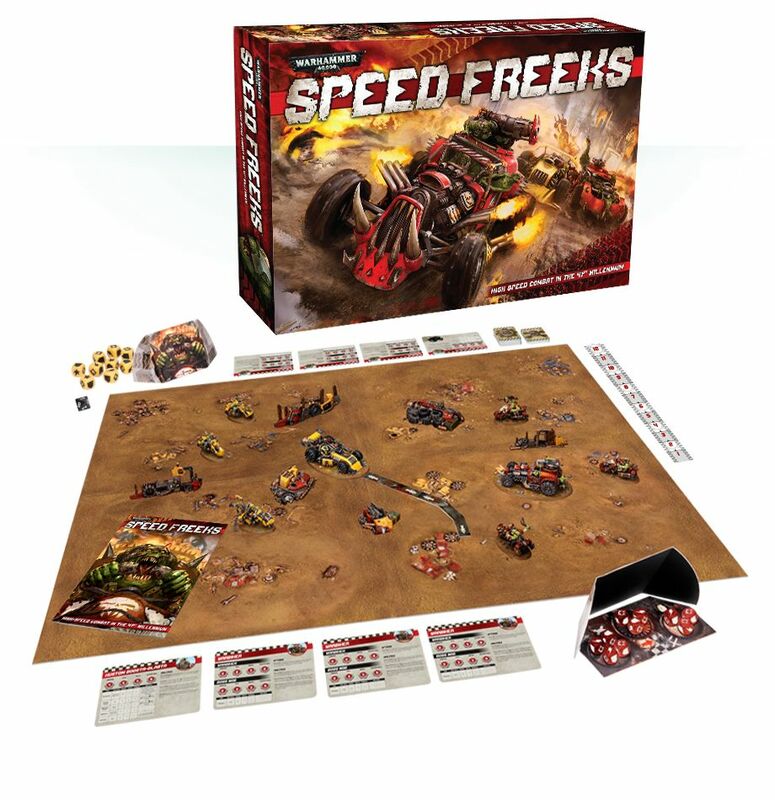 Warhammer 40K: Speed Freeks! Coming Soon! Preorder Now! Preorder today from our online store, GeekHome.co.za! Engines rev, power cells whine, saw blades spin and loading mechanisms snap chunky shells into deadly experimental weapons. Meks make last-minute adjustments with hammers and wrenches. Da Speedwaaagh! is on! Speed Freeks is a game for 2 or more players. 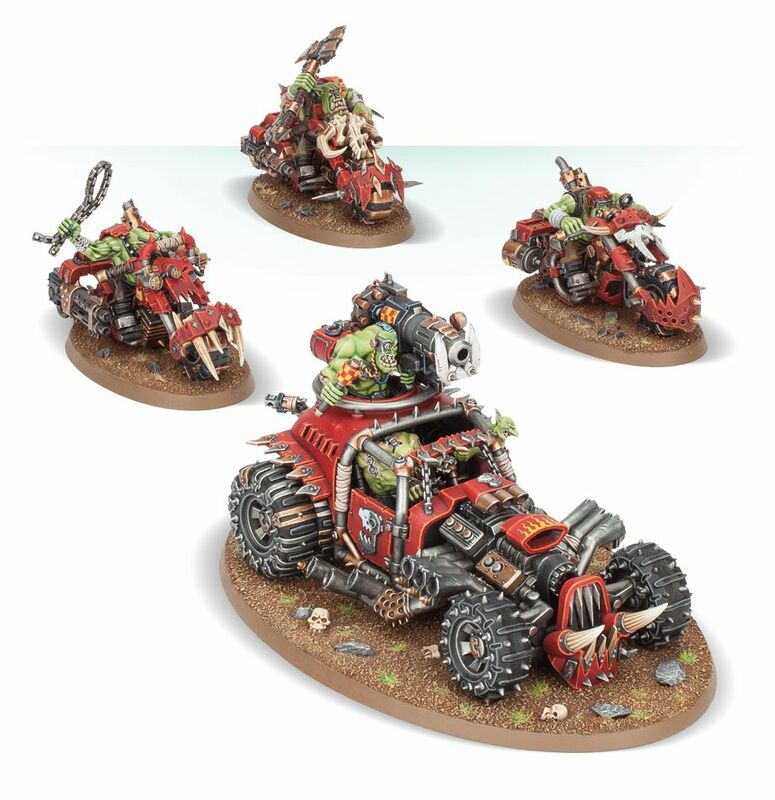 Each player commands a Speedmob of Ork wagons and warbikes in high-speed adrenaline-fuelled combat. You’ll need to kustomise your vehicles and pull off daring manoeuvres to win, but that isn’t easy when your team consists of velocity-addicted greenskin maniacs. Players take turns picking models to move, shoot and attack up close, aiming to destroy their rival racers and become the greatest Speedmob in the galaxy! – Da Showroom: a selection of beautifully painted Citadel miniatures, showing you just how killy and fast your own Ork contraptions can look. – A set of barricades: this comprises 3 barriers and 3 piles of detritus used to mark the courses around which the Orks zoom. Chunks of scrap, wreckage, tyres – pretty much anything not nailed down is used by Orks to make their races exciting! October 23, 2018 in Warhammer. New Warhammer Preorders! Now Open! Preorders Open! Warhammer Quest: Blackstone Fortress! Get Yours Today! The WAAAGH! is Here! 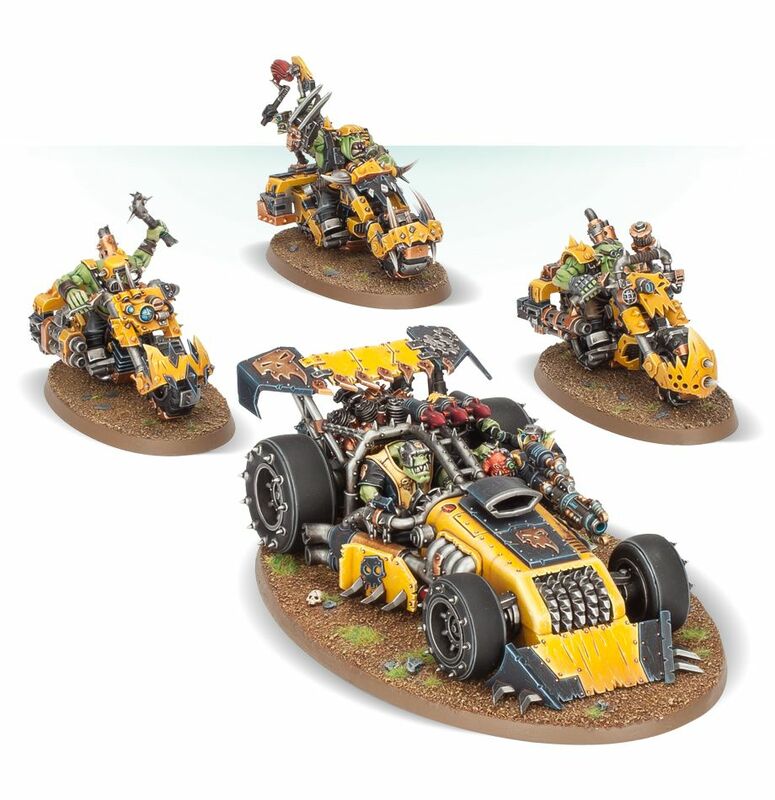 New Codex: Orks, Available for Preorder! ← Now in Stock, Pokémon Solgaleo-GX and Lunala-GX!